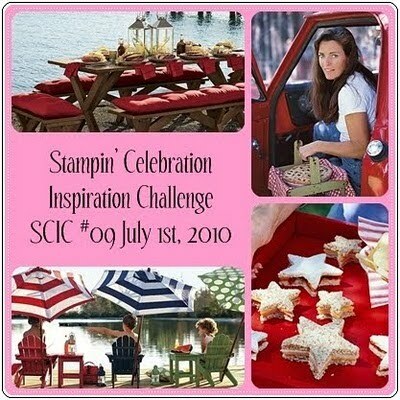 In honor of July 4/Independence Day weekend, the inspiration photos for this week’s Stampin’ Celebration challenge are USA-inspired! To make the card background, I used strips of Real Red and Night of Navy cardstock, alternated on a Natural White cardstock background. I used kraft cardstock to mat the stamped images and sentiment. 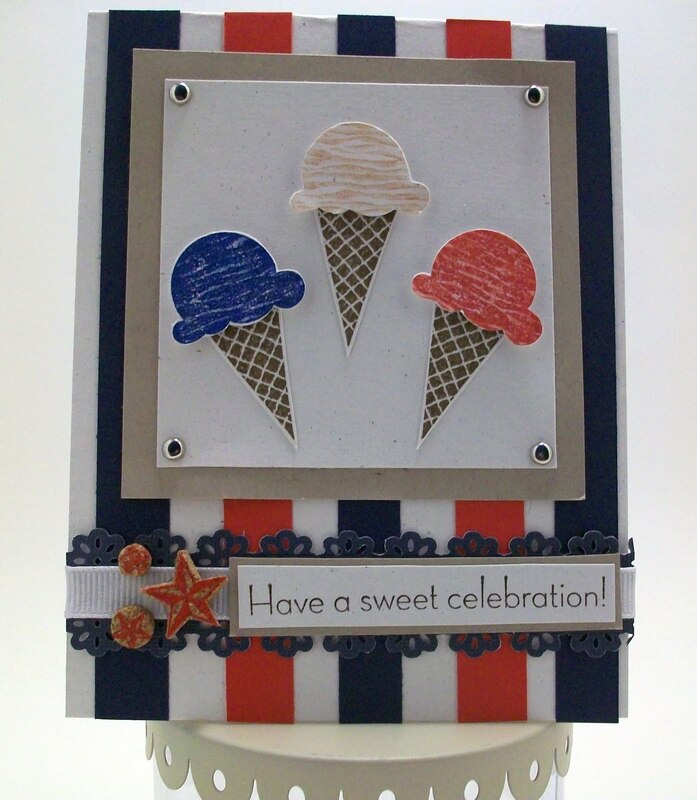 The stamps I used are from Stampin’ Up’s “Sweet Scoops” set. I used Basic Blue, Real Red, Creamy Caramel, and Soft Suede inks. I also used a Martha Stewart border punch, mini silver brads, white grosgrain ribbon, and cork accents from Pink Paislee’s 365 Degrees collection. Fun card! I like how you did the background. The Sweet Scoops set was perfect for this challenge too! Thanks so much for playing along with us at Stampin' Celebration! Hi Suzanne! Thanks so much for joining us at the SCIC! I always love your creations! Hope you had a wonderful 4th of July!